The power sport OEM recommended load tester, power desulphator, charger for all types of 12V lead-acid batteries. BatteryMate has been saving batteries for 25 years! True load tester selectable from 15A to 150A – Automatically tests battery cranking amps up to 330CCA. 3 second test simulates normal engine cranking / start, 15 second test checks battery health. 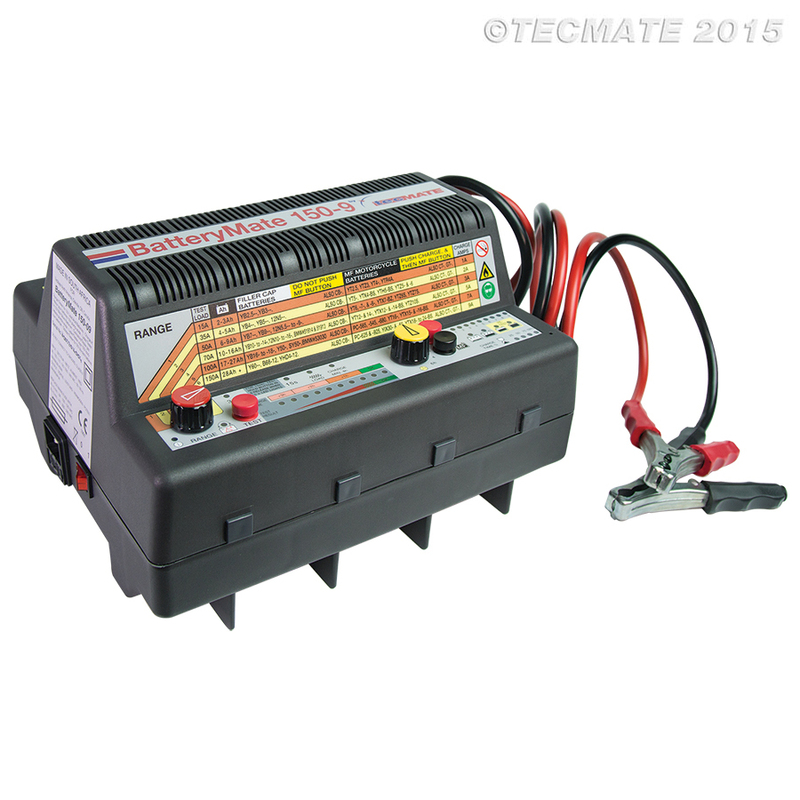 Easy to use – 6 position combination selector allows selection of correct test and charge current for connected battery. TEST and then select max. charge time according to result, press CHARGE button. Program completes charging automatically and then tests the battery. CHARGING AMPS : 9A maximum; 1, 2, 3, 5, 7, 9 Amp selection. TESTING AMPS : 150A maximum; 15, 35, 50, 70, 100, 150 Amp selection. 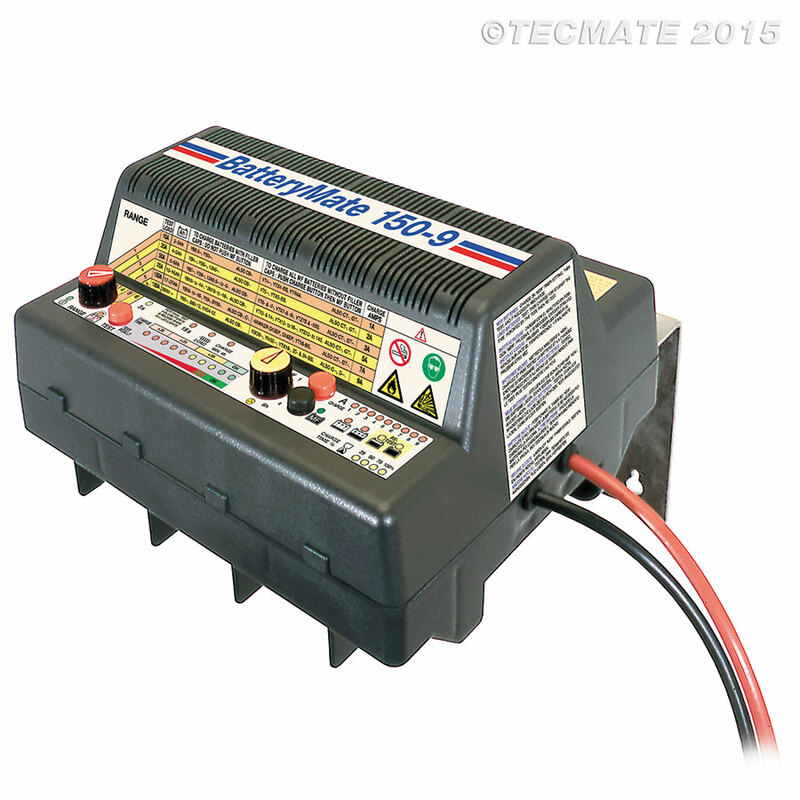 IDEAL FOR : STD, AGM & GEL 12V batteries from 2 – 40Ah.